When describing a new type of smartphone technology, the term “Handedness-Agnostic” probably wouldn’t come to mind. But that’s one of many slogans dreamed up for Vice Versa, a conceptual user interface that improves on the user experience by taking into consideration how the human body works. 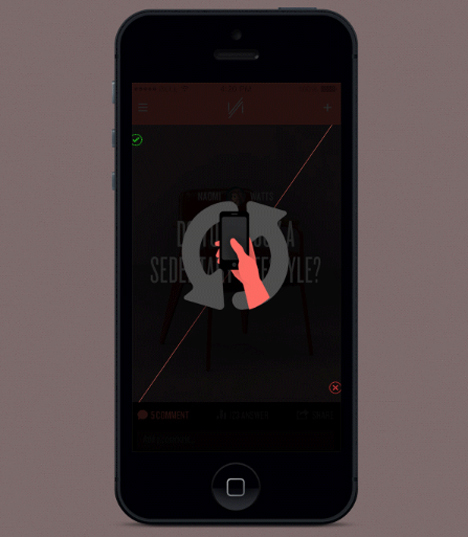 Most of us experience the irritating button layout on smartphone screens several times daily. In the current setup, our thumbs are forced to contort in ways that are unnatural and uncomfortable when we are using our phones with one hand -which, according to designer Michael Oh‘s research, 49% of us do. 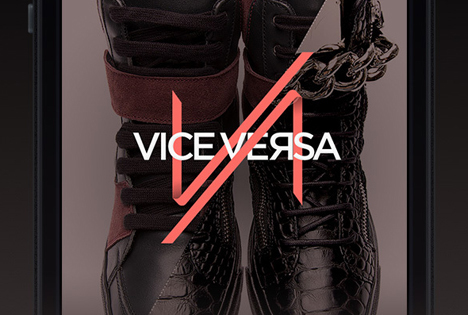 Vice Versa is a “diagonal form of binary UI optimized for single-hand use” that can be used across multiple platforms. 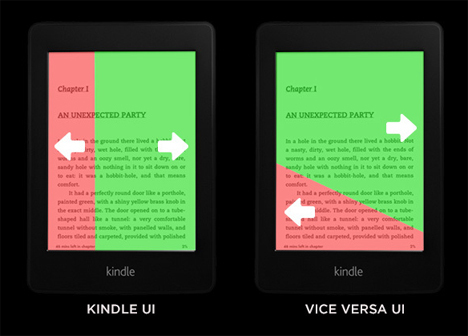 Used on a Kindle as seen here, it can help alleviate the frustration of accidentally turning multiple pages at once and then having to switch hands to reverse the mistake. This is just one of the reasons Michael Oh dove into the challenge of inventing a whole new user interface – and we hope to see it in use on our gadgets someday soon.